Lately, it seems that every day I hear someone say, “Can you believe it, it’s May already!” Truth be told, our red-white-and-blue day of remembrance, Memorial Day, is fast approaching and even though the weather doesn’t seem to be cooperating, most of America is still planning their annual outdoor parties. 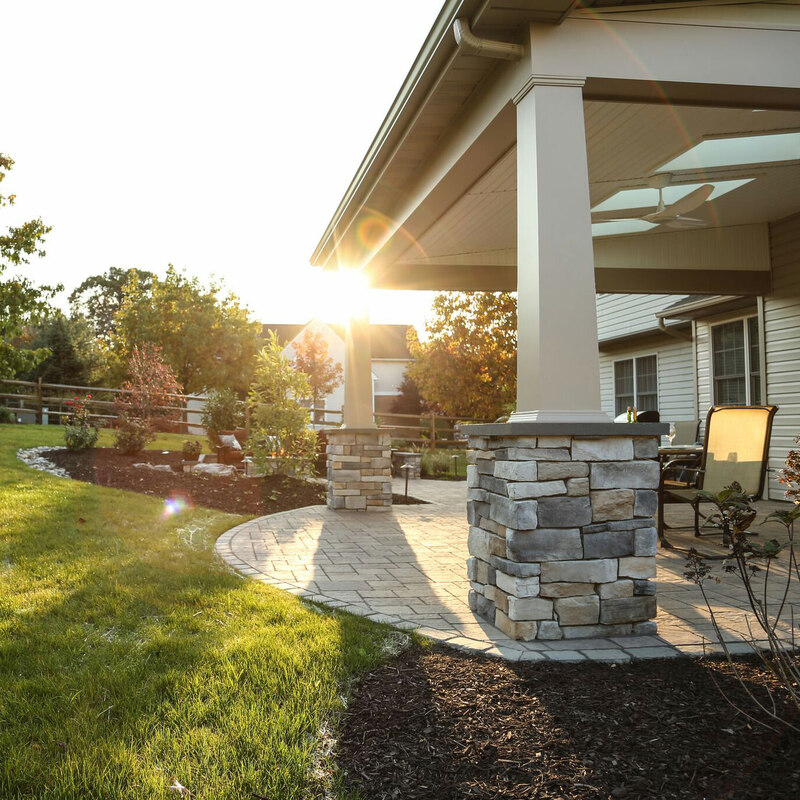 Since it is already mid-May, it is high time for homeowners to get in gear and get the backyard ready for all of the activity that is about to kick off for the season. If you haven’t even thought about your backyard laundry list of to-dos yet, here is a quick cheat sheet so you can spring right into action to get your backyard prepped for all of the friends, family and fun. Since your equipment and outdoor components have been at rest for the past few months, it is wise to take some time to make sure everything is still in working order. Look over your lawn mower, perform its spring maintenance and give it a once-over to make sure everything is working properly and repair or replace as needed. The same attention should be give to your sprinklers and irrigation systems. 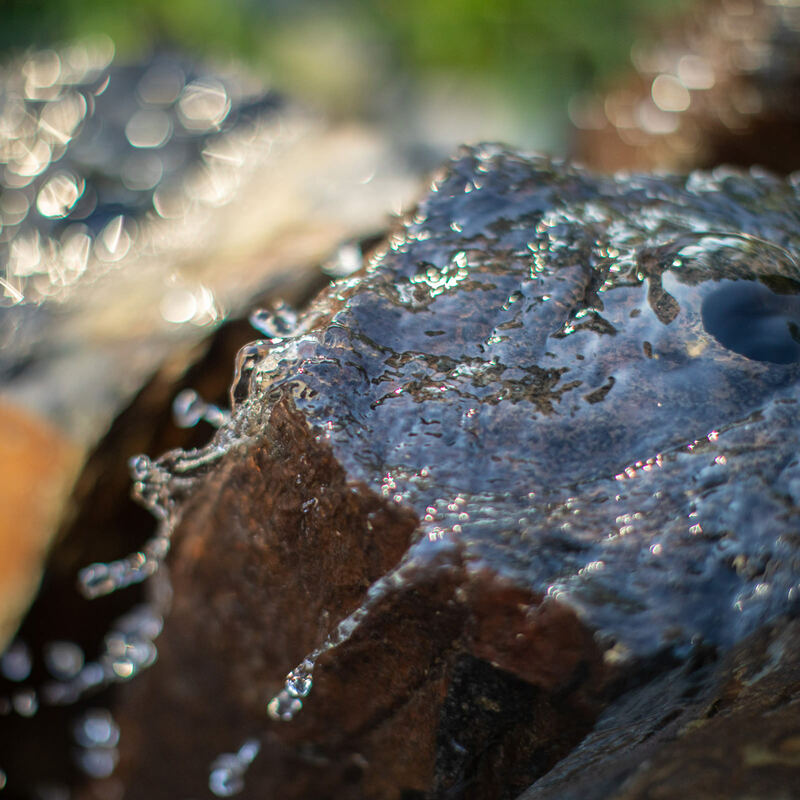 Making sure all sprinkler heads are fully functional before the temperatures start to soar can be the difference between a pasture of green or a bevy of brown. Now that there is no threat of night frost, it is the perfect time to hook up your irrigation system and re-program the timer. Keep an eye out to make sure that there are no hindrances in the lines or leaks in the faucets. 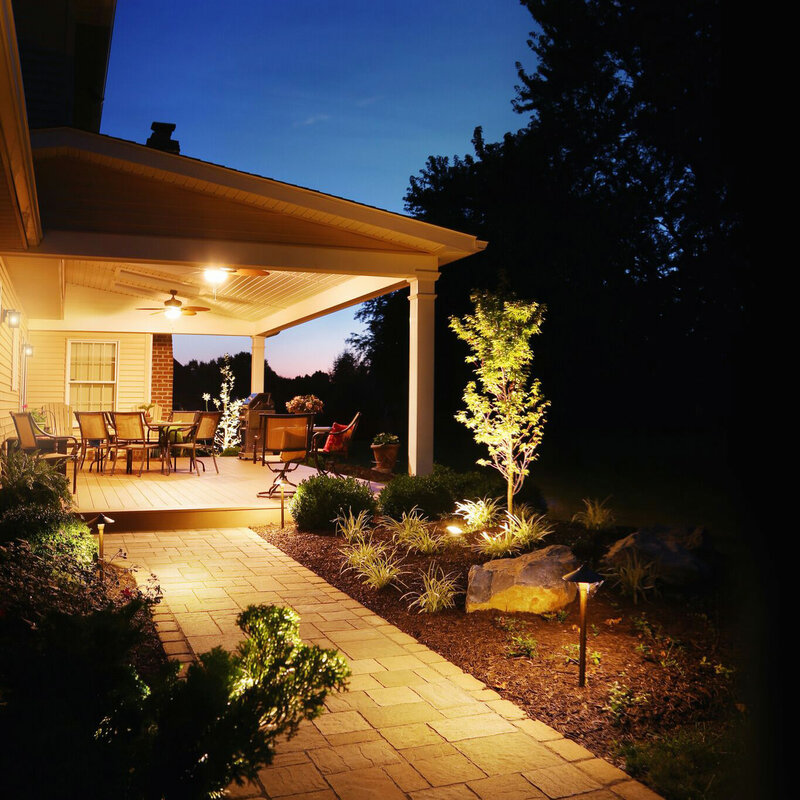 In the evening, take a stroll around your property to make sure all exterior lamps are lit and all landscape lighting is working. It is possible that some bulbs have burned out or the direction of the lighting fixtures will need to be readjusted. After your visual inspection has been completed, start your maintenance with the largest component of your outdoor space, your lawn. Shine up your mower, grab your favorite beverage and start your engines! After the grass has been cut, be sure to also trim back any wild sprawling branches that might have been neglected in the colder months. A freshly tended and cut lawn is one of the first sights and smells that mean the cold weather is finally behind us. Weeding, edging and mulching is also pertinent to give you lawn that spruced-up spring aesthetic. Edging makes your landscaping beds look clean and well maintained, while mulching actually serves more than just a visual appeal; mulch is very important to the health of your plants for the rest of the season. Mulch helps your plants retain water and moisture, as well as keep the roots cooler in the summer’s arid air. 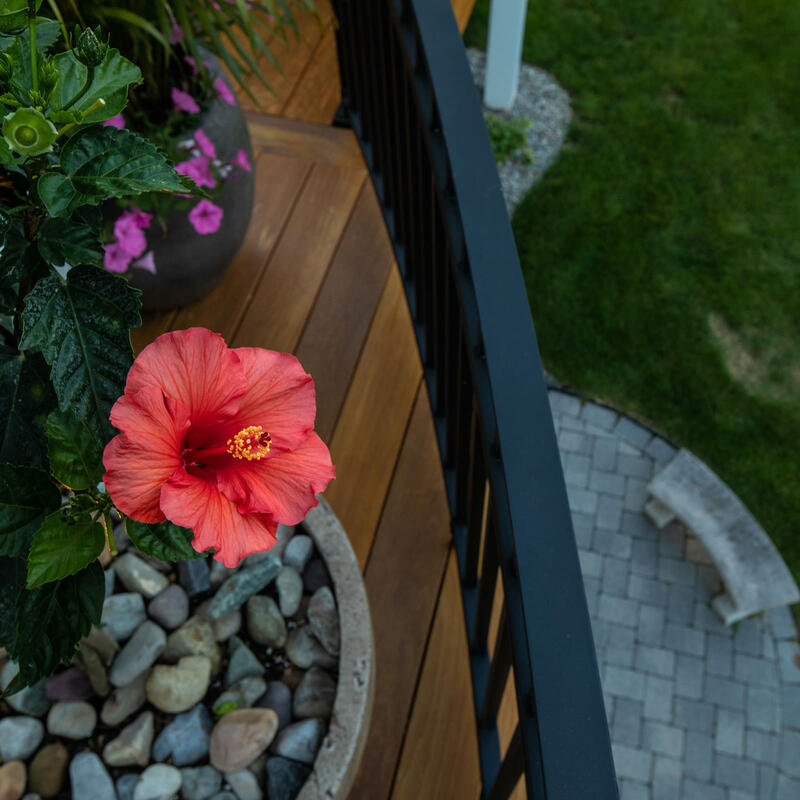 Before your Memorial Day invitations hit the mailbox, be sure to plant annual and perennial flowers to give your landscape much needed vivid pops of color. Beautiful plants can easily bring any space to life! 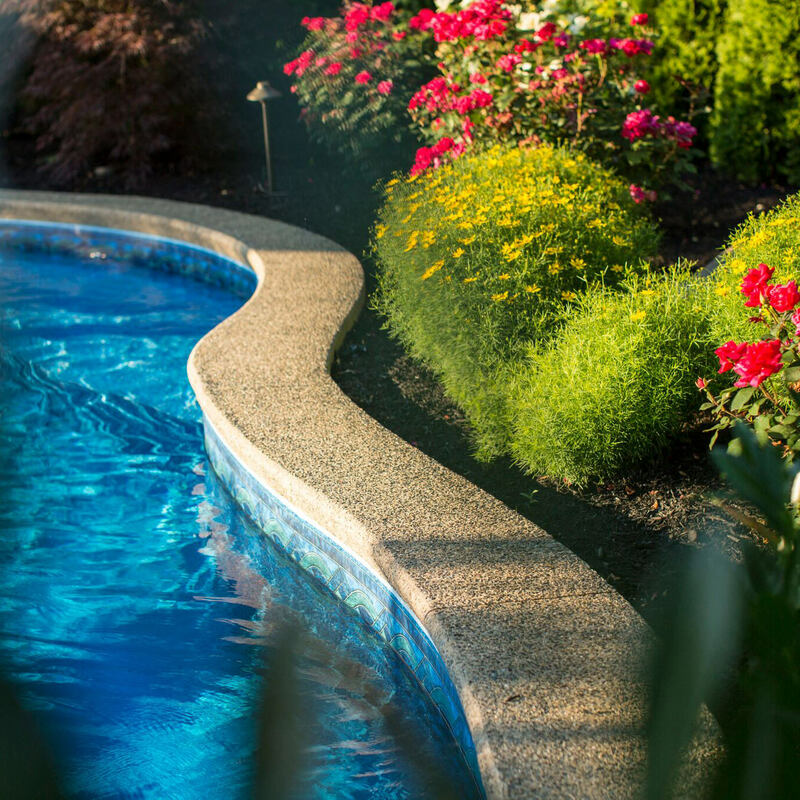 A manicured yard is the epitome of backyard enjoyment. Prior to breaking out your favorite grilling instruments, give your outdoor kitchen, appliances or grilling station a good scrub down. Grab the power washer and give your deck or patio a once-over to remove the built up fall and winter muck that has made its home in all the nooks and crannies of your hardscapes. It is amazing how much difference the initial spring scour can make! As you bring out the patio furniture from storage or remove its tightly bound shroud, wipe everything down with hot soapy water to remove any cobwebs or mildew that has built up. Give your cushions and patio umbrellas a few days to hang out on the patio to dry and get some fresh air. Don’t forget to consider the details before your soiree starts! Outdoor rugs, lanterns, string lights, torches and throw pillows go a long way when it comes to aesthetic and comfort. Elements like rugs and pillows can add additional pops of color and texture, so have fun with it! Be sure that these accents are made of outdoor material so they can withstand the warm weather showers that seem to pop up without notice. Throw pillows should be made with a fiber filling as opposed to feathers for this exact reason. Additional lighting features like string lights and torches add an extra romantic element to your gatherings. 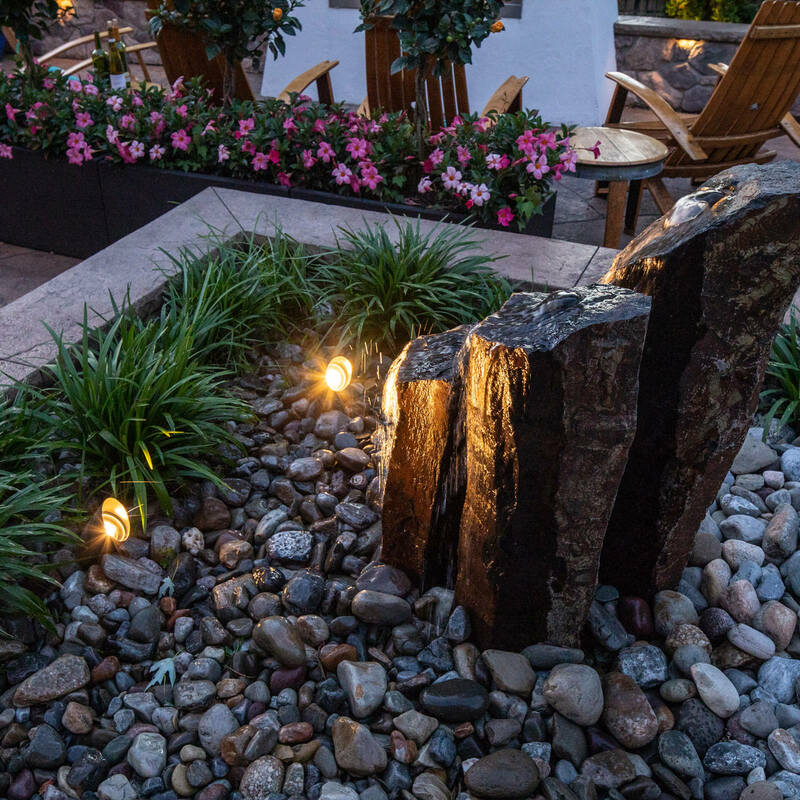 Temporary lighting is the easiest way to dress up your outdoor living space, and customizable to be moved wherever you like! Your keen eye and attention to detail won’t go unnoticed. Memorial Day is the kickoff to summer, so be sure to do it in style! Taking the time to prep and clean your outdoor spaces now will ensure that you can fully relax and enjoy your outdoor get-together when the time comes, and for the rest of the season. 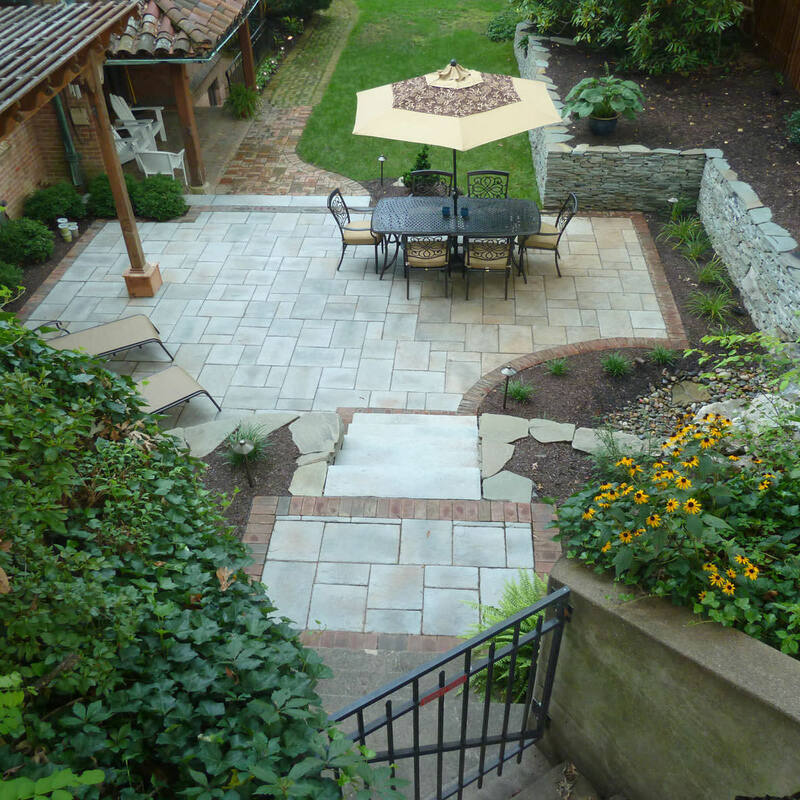 Do you feel that your outdoor space is falling short? 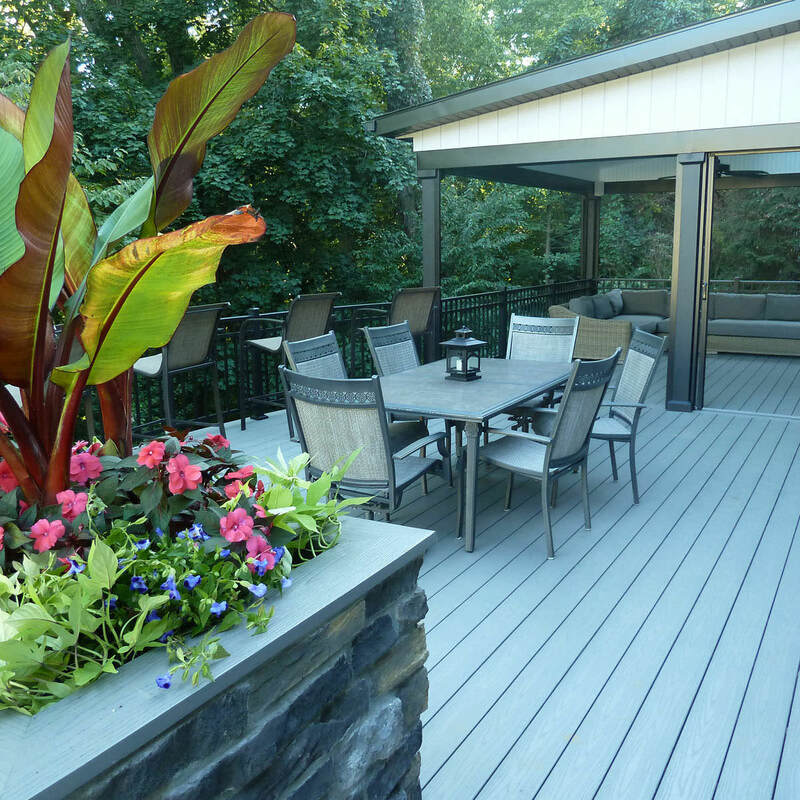 Reach out to MasterPLAN Outdoor Living! 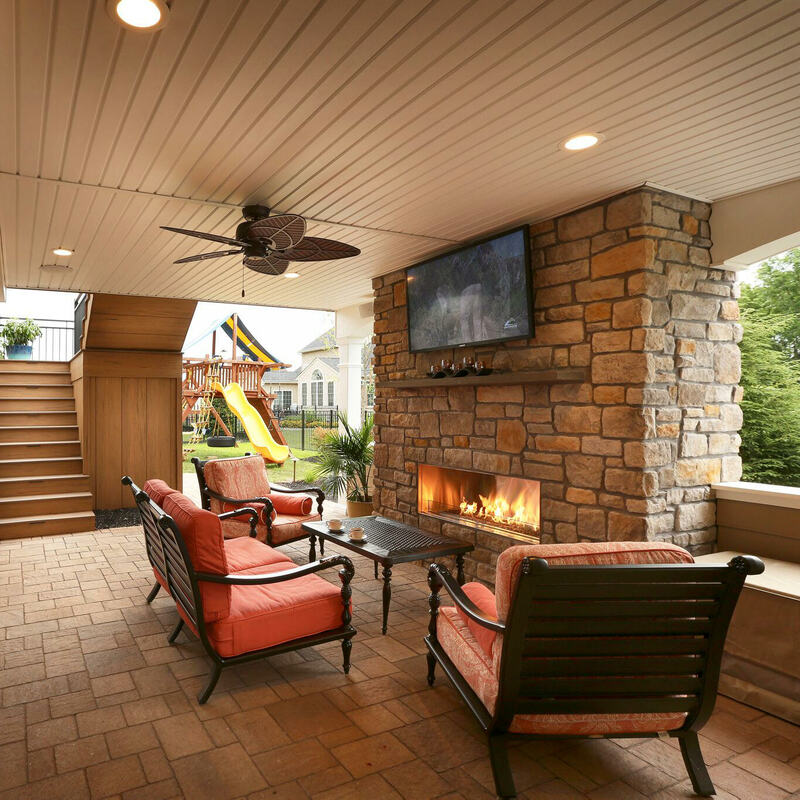 MasterPLAN specializes in backyard transformations custom-tailored to you and your family to provide function as well as a beautiful backyard to relax and enjoy each other’s company. From full color 3D design, project management to project construction and completion, we have you covered. When you are ready, we are ready!